This week we received more evidence confirming that the U.S. economy has returned to positive, but still disappointing, growth. 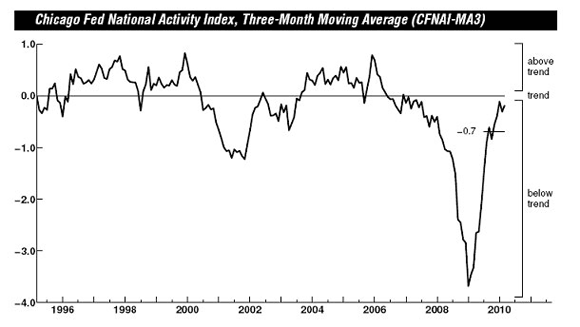 The Chicago Fed’s national activity index edged back up for March, but still can’t break into positive territory. 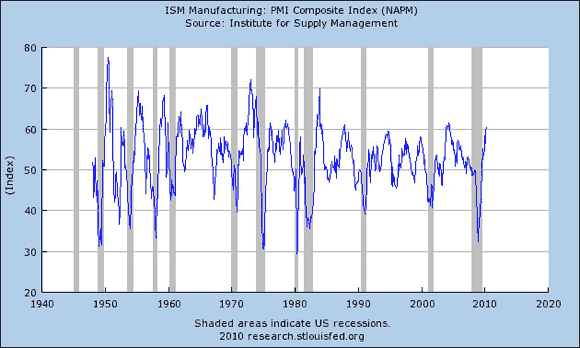 The Institute for Supply Management PMI manufacturing index is looking very good, rising to 60.4 for April, the highest it’s been in almost six years. A value above 50 means that managers reporting improvements outnumbered those reporting declines. 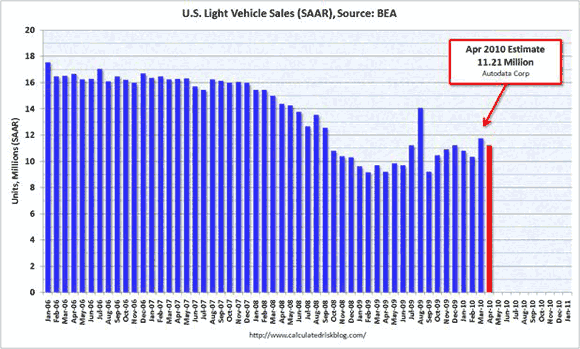 All of which confirms the impression from earlier data– U.S. growth has resumed, but we still have a long way to go. Get used to it. We will not have a roaring economy for a some time to come. In order to really get things going again we need to get the Federal Government out of (1) the banking business, (2) the automobile business, (3) the mortgage business. Additionally, running an economic race while servicing a $14 trillion debt will be like running a marathon in cement shoes.